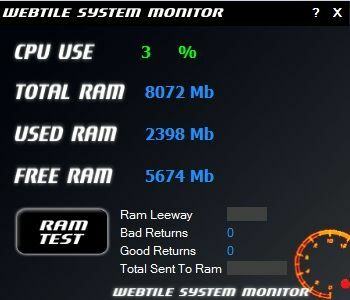 Webtile System Monitor is a handy freeware system monitoring app that provides useful CPU and RAM information. On its simple interface it shows the total CPU usage at the current time, as well as the Total amount of available RAM, the amount of it in use and the amount currently free. It is a very simple tool that provides that data quickly.